Beautiful pictures and the top is very pretty! That top is very cute, I really like how you paired it with those boots! Checkout my blog series this week for the Kentucky Derby! 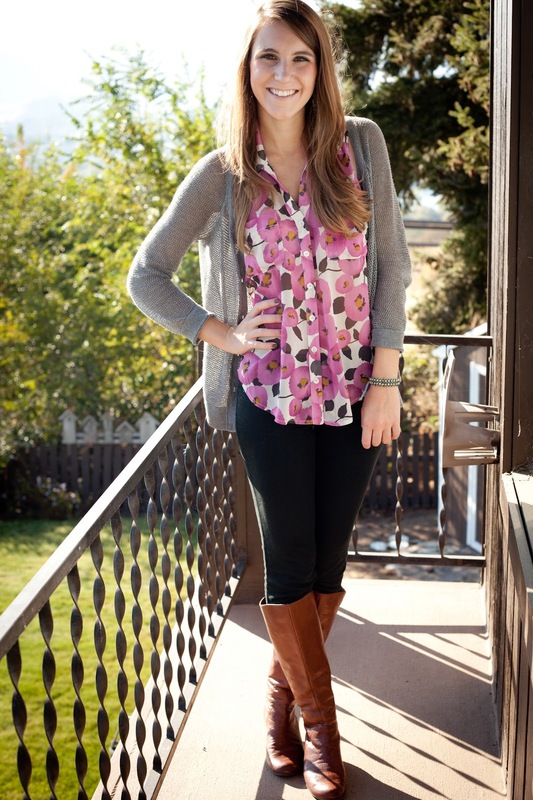 Such a cute top- and love those boots, too! This is such a cute, comfy look! I adore your boots. And those earrings are so rad! So pretty, and I LOVE those boots. Black skinnies are an essential in my closet too! I have one pair from Nordstrom but I need another! Love this top – you look great! 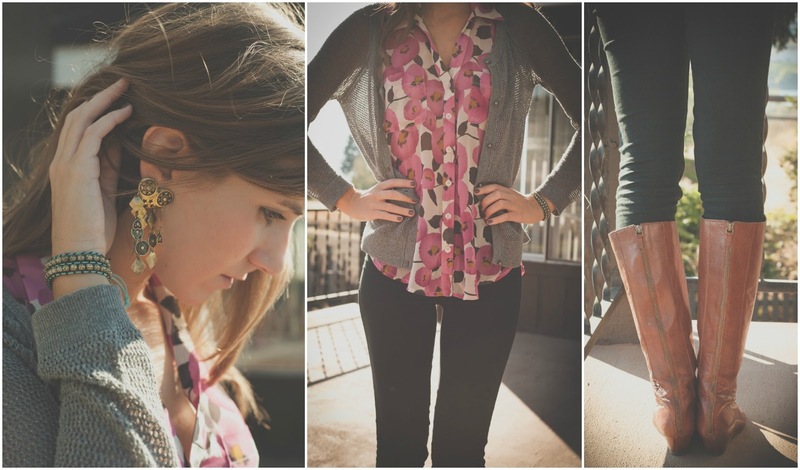 Love this look with the floral print and black skinnies! Those earrings are great too! It definitely IS better late than never since this outfit is adorable. I absolutely adore the top, the print is fantastic. And black skinny jeans are basically the only pants I wear. I love my high-waisted ones from Urban, but those are starting to fade a little too, unfortunately. Really like this casual look. Would you like to follow each other? Oooh I love that floral top! Pretty colors!